AmericInn Hotel & Suites Fairfield - Fairfield, Iowa - Tune into our Vibe! Located at the intersection of Highways 1 and 34 in Fairfield close to the Jefferson County Medical Center and only minutes from Fairfield and Southeast Iowa attractions, the AmericInn Hotel & Suites offers beautifully appointed guestrooms featuring cozy Serta Perfect Sleeper® beds, new 32" LCD Flat Screen TVs and a variety of room types, including whirlpool suites. 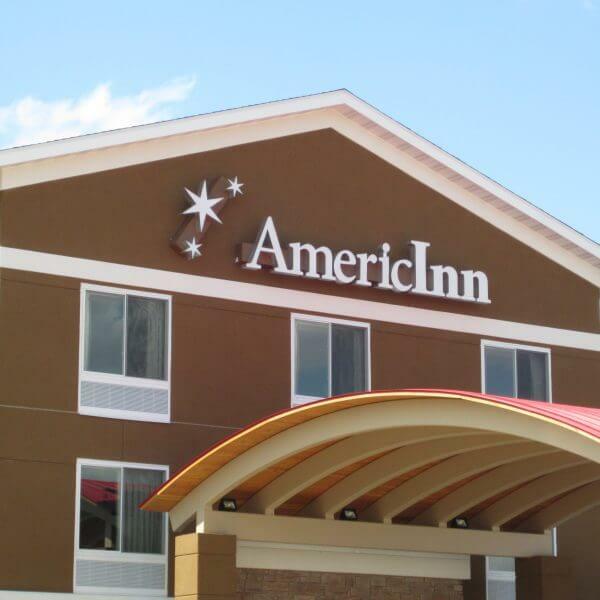 Start your day off right with our free, hot home-style AmericInn Perk breakfast and stay connected with our free, hotel-wide, high-speed Internet. Guests can enjoy our inviting, indoor pool, hot tub and cozy firelit lobby. And after a long day unwind at our Beer and Wine bar.